・We will be closed at 1st, 8th, 15th, and 22th, April 2019. ・We will be closed at 7th, 13th, 20th, and 27th, May 2019. ・We will be closed at November 5th, 12th, 19th, and 26th, 2018. ・We will be closed at December 3rd, 10th, 17th, 25th and 29th～JAN 3rd. 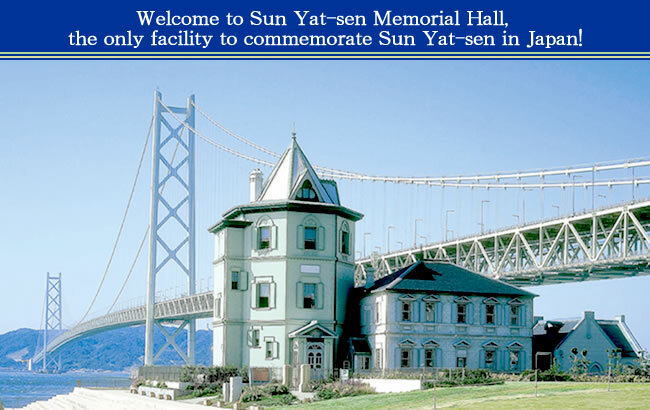 ・Sun Yat-sen Memorial Hall will hold “The Sun Yat-sen Month, 2018”. 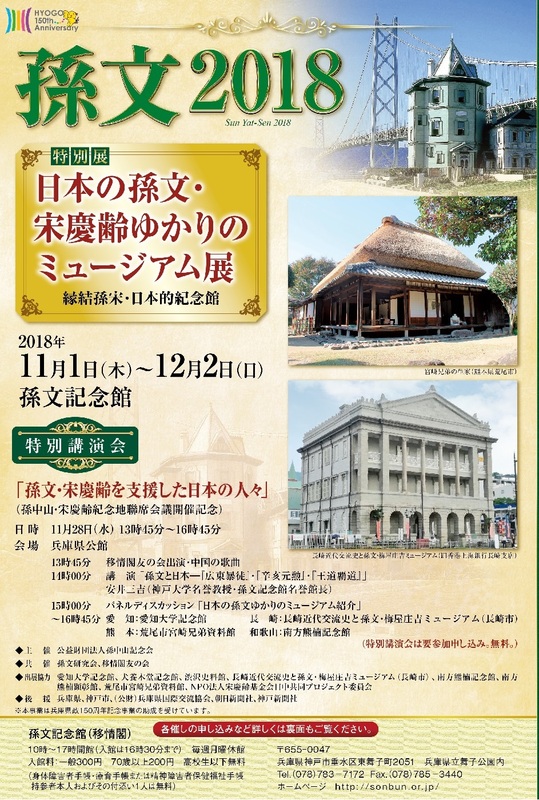 We will have Special Exhibition “ Museums which are concerned with Sun Yat-sen and Soong Ching-ling in Japan ” (NOV 1st~DEC 2nd). For more information, please see the following flyer. For more information, please click the exclusive page on the side bar, or click here. The videos introducing Sun Yat-sen Memorial Hall are broadcasting now.